After a full on weekend of investigating, we appeared (bright and early *groan* on Weekend Sunrise, Ch7. Our segment is below. 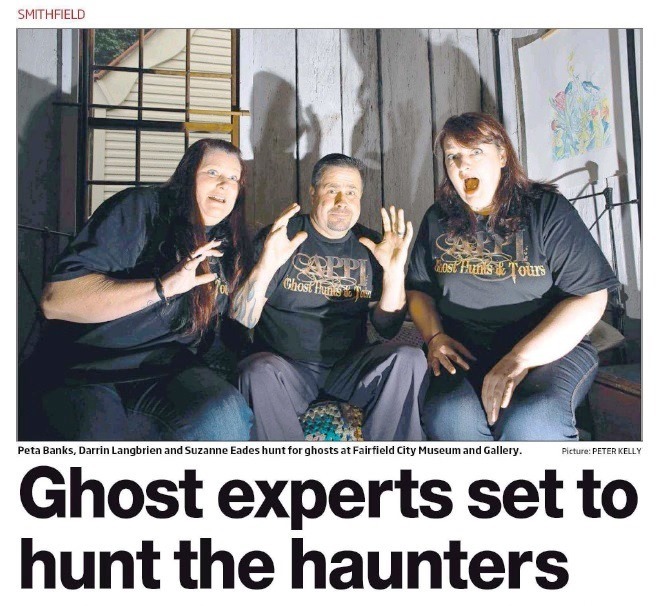 Daily Telegraph 28 May 2018 - As this article is for 'subscribers only', please download the PDF to view, and click on the YouTube video below to hear the EVP referred to. 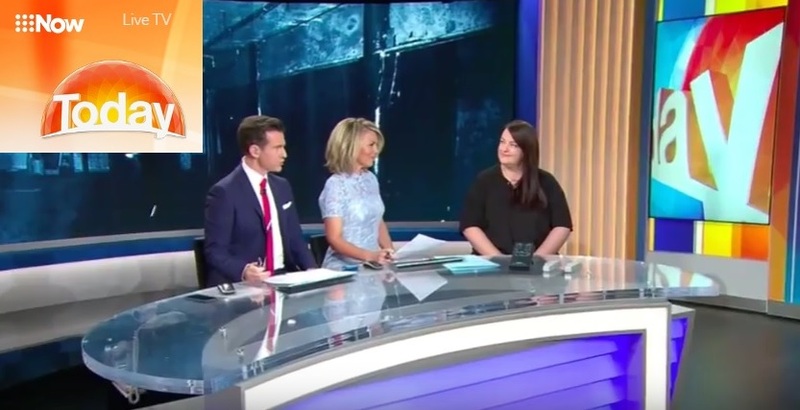 Click on the image below to watch the owner of APPI Ghost Hunts & Tours talk to the team at Today Extra about the Paranormal Boot Camp. In June 2015, APPI was fortunate enough to investigate the beautiful, historic Bella Vista Farm homestead. 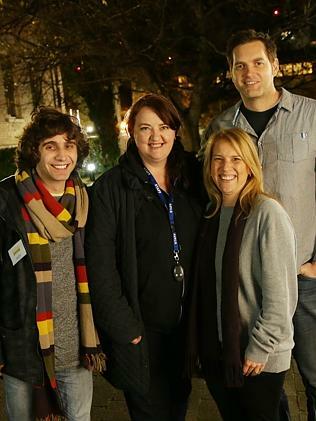 We had a crew from Studio Ten come with us, and their roving report David (Robbo) Robinson. The night was hilarious! We did have activity happening, but everything that happened was overshadowed by Robbo's genuine fear of the dark! Please see below for the segment, and thank you to The Hills Shire Council for allowing us to investigate this amazing home. 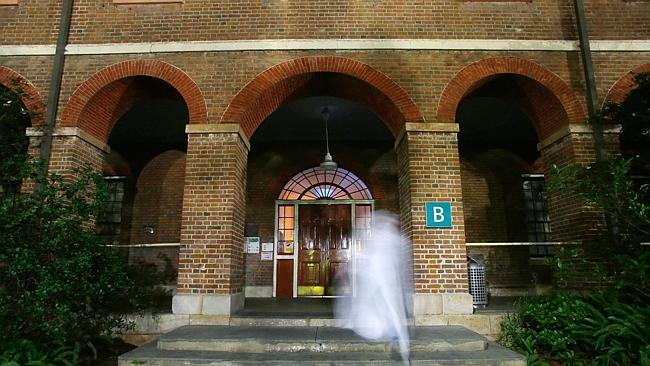 Former FBI Investigator on the hunt for ghosts at Liverpool TAFE. This article also appeared in news.com.au and you can read it HERE. Click on the image below to be taken to an article on the Weekend Notes, about the Australian Paranormal and Spiritual Expo - organised by Peet from APPI. Click on the image below to be taking to this wonderful blog. 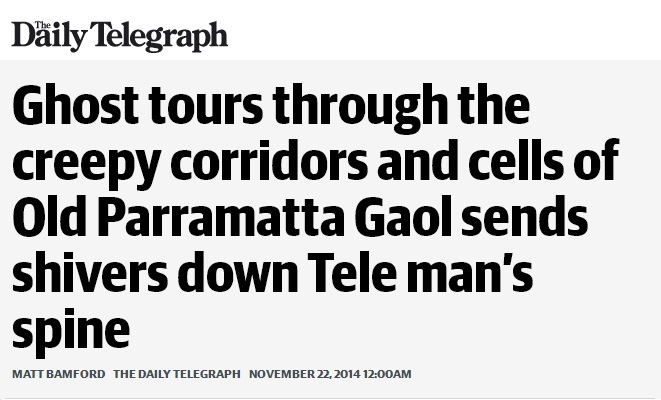 Click on the above file for an article written by the Daily Telegraph on our ghost tours of Parramatta Gaol. 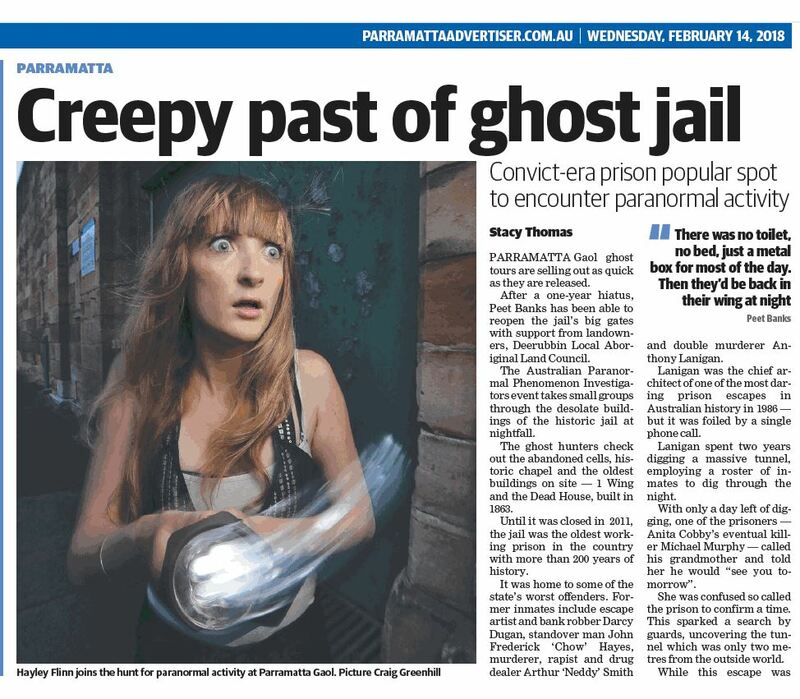 The Psychic Reporter joined us at Parramatta Gaol on 10 October and interviewed Peet on the happenings at the Gaol. Read the article and watch the interview HERE. 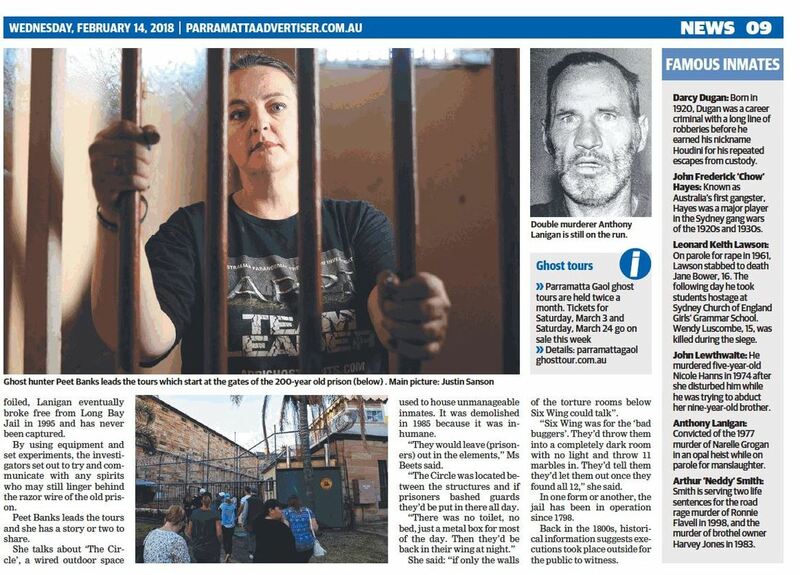 Page 27 of the Parramatta Advertiser features Nic being interviewed regarding the Ghost Hunts of Parramatta Gaol that APPI offer. Click on the image above to be taken to the online edition of the newspaper. Paranormal film maker Ashley Hall speaks with Chris Smith about the existence of ghosts at the Casula Powerhouse in South Western Sydney. Click on the image above to watch a video, and read an article surrounding APPI's "Paranormal Boot Camp"
Listen to Peet and Ugly Phil from The Rubber Room on Triple M chat about ghosts and haunted places! "'I've listened to the ghost box and heard things like 'help me, help me', ghostbuster tells..." Click on the image to be taken to the news.com.au article. MUSEUM VISITORS CAN JOIN IN ON PARANORMAL SEARCHVISITORS to Fairfield City Museum and Gallery have often spoken of an old man who stands alone on the veranda of Caversham Cottage. Picture: PETER KELLYPeta Banks, Darrin Langbrien and Suzanne Eades hunt for ghosts at Fairfield City Museum and Gallery.Surprised by his antique clothes and mournful air, when they take a second look back – he has gone. 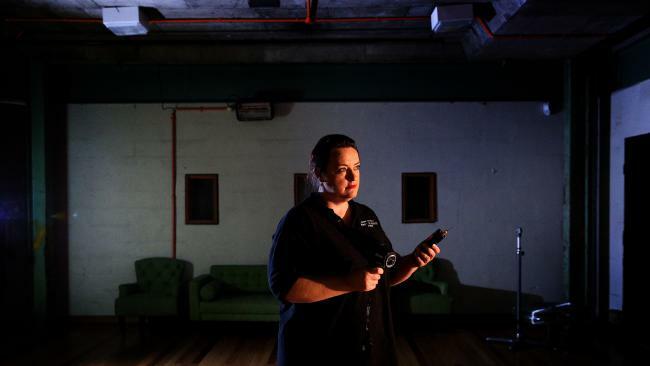 Peta Banks, from Australian Paranormal Phenomenon Investigators, is leading a new ghost hunt at the museum, which she said was incredibly haunted. “Some of the paranormal activity known to be happening is voices being heard, doors opening and closing, footsteps,” she said. will use special equipment to search for ghosts in five locations. Ms Banks has already done an initial investigation of the site. Two shadow detector sensors also started to go “crazy”. The old council chambers also have a tragic past. After an arsonist started a fire destroying his businesses in 1938, owner James Leslie Morris killed himself. Ms Banks grew up in Liverpool and says she has always loved the history of the southwest region. “These areas were all colonised around 1810 so they’ve got their own early history,” she said. When it comes to believing in ghosts though, she says she is a “sceptic”. SOMETHING strange lurks in the Casula Powerhouse. 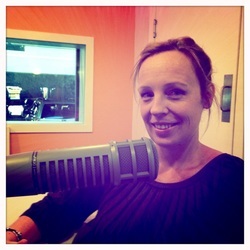 Peet was interviewed on the Sydney Community Radio Station this morning, to speak about Halloween and all things spooky. Click on the image to have a listen. 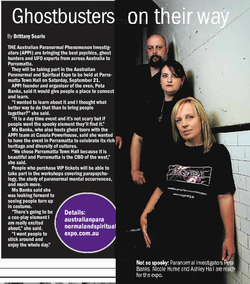 Nic and Peet were featured in the Parramatta Sun in regards to the Australian Paranormal and Spiritual Expo, being held on Saturday 21 September, 2013 at the Parramatta Town Hall. Peet & Nic were interviewed recently by Brittany on 89.3FM. There is something spooky happening at Casula Powerhouse. 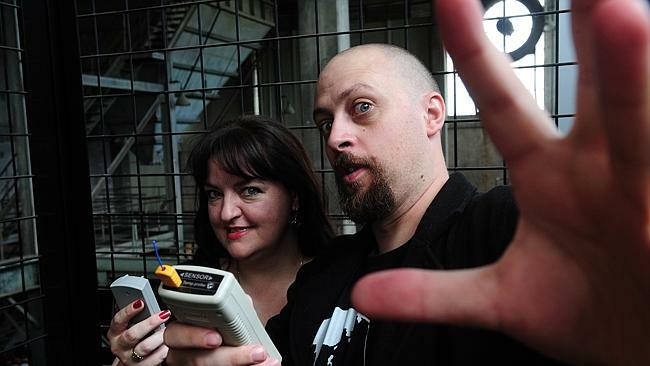 Peta Banks and Nic Hume from the Australian Paranormal Phenomenon Investigators currently run Ghost Tours through the grounds of Casula Powerhouse and provide locals with a chance to get in touch with the rich and sometimes scary history of Liverpool. Inspired by their own experiences the women are passionate about bringing their own brand of paranormal investigation to the public. “People may have lived here all their lives and they may not have realised how historic the area is,” they said. 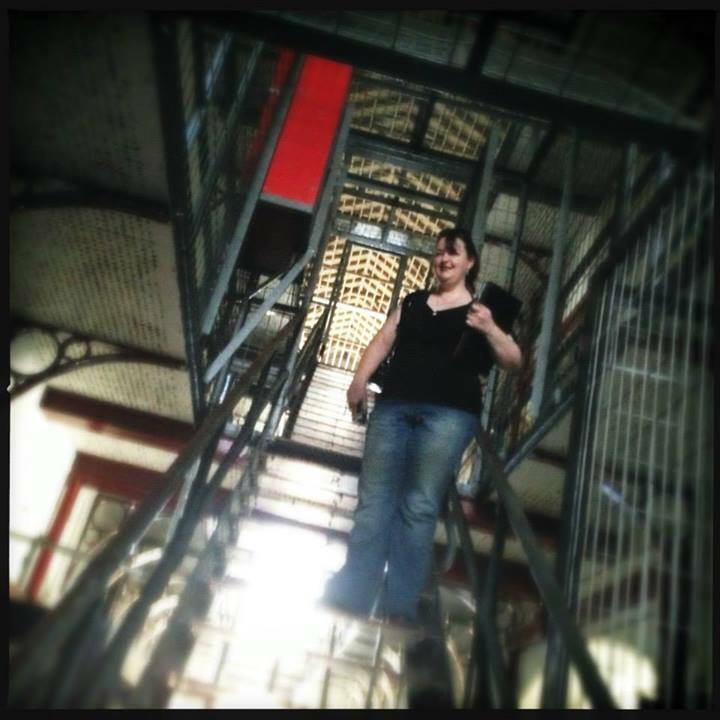 The leading ladies of the Australian Paranormal Phenomenon Investigators recently visited Brittany our Bigge Street Studios to help her pluck up the courage to get in touch with the explainable side of Casula Powerhouse. SUPERNATURAL and natural forces combined at the recent Paranormal and Spiritual Expo. Nic Hume and Peta Banks survey the chaotic foyer of the Powerhouse.About 1000 people descended on Casula Powerhouse for the second annual event. It included talks, psychic sessions and paranormal merchandise and was a chance to meet others in the paranormal phenomenon community. 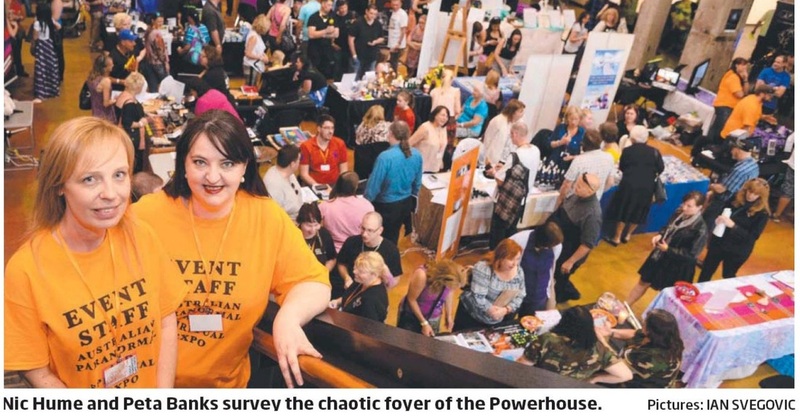 The Powerhouse’s foyer was full to bursting with attendees taking advantage of stalls, book signings and psychic readings, in what organiser Peta Banks described as a huge success. “It was brilliant, beyond our wildest dreams. We were expecting maybe 600 but about 1000 came,” Ms Banks said. 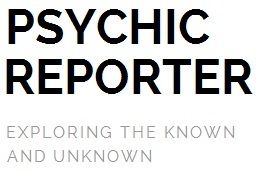 Amid seminars on connecting with the dead and whether ghosts are afraid of sceptics, celebrity medium Mitchell Coombes’ talk, Sensing Spirit, proved by far to be the most popular event. Following the talk, Coombes signed copies of his book Sensing Spirit. The expo also featured the premiere of Ghosts of Casula, a documentary filmed by Ms Banks, Ashley Hall and Nic Hume about reported ghost sightings at the Powerhouse. APPI were featured on My Ghost Story, the popular television program on the Biography channel in the USA. We spoke about our time in the Bundanoon Hotel, and what went on there. Click the video below to watch our episode of My Ghost Story. The Paranormal Guide is owned by Ashley Hall and his team is made up of four people passionate about the paranormal world. Paul is a bit of a technology nut and is always buying new tools and equipment. Debbie is best described as our reporter and is always out in the field researching and putting together new mini docos for the site. Tash is the teams medium and provides some extra information on a location. Ashley maintains the site, is the head investigator and provides some of the direction and what the Guide is doing next. The Paranormal Guide also has forums and a Facebook page which means content can be created by anyone and if it fits and permission is given by the author it will make it into the website articles and the base of contributors will have grown. Really The Paranormal Guide is everyone who has a fascination in the paranormal or the strange and weird. Just be commenting on pictures, videos, articles, forum entries you are helping to grow the website. Should your interaction prove substantial or interesting you will probably gain the attention of the admins and potentially brought into the group. APPI were interviewed by The Paranormal Guide, in a podcast with the topic being different forms of paranormal and macabre entertainment that are not tv shows, documentaries or straight up ghost tours. We spoke about our time on the Dearly Departed tour when we visited Los Angeles. APPI have been featured on Ghosts of Oz a few times. 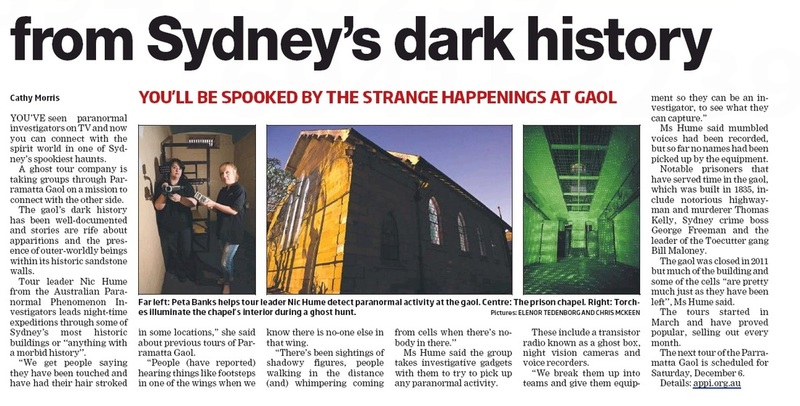 Firstly, on Monday 16 July, 2012, we spoke about the Casula Powerhouse and all the spooky happenings at the venue. <--- Click on the image to be taken to Ghosts of Oz website. We were then invited back, together with Brett from SIN Australia, to talk about Paranormal Experiments and Researching. Our good friend Don from The Spirit Level has very kindly made some promo video's of APPI. Don Meers takes you to the front lines of Haunted Australia in his self produced original reality series "The Spirit Level" airing exclusively on Roku's only all paranormal TV channel "Paranormal Reality.TV"
To listen to the first two parts of this interview, please follow these links. "Friday 13 April, 2012 with Rod Quinn. It's Friday 13th and things get a little spooky on Overnights! Rod takes a look at the Paranormal with Peta Banks, co-founder of the Australian Paranormal Phenomenon Investigators. They'd like to hear about your experiences." Spectre on The Stage - Encounters of a Ghostly Kind. It seems spirits have taken a liking to the talent on show at the Casula Powerhouse. Reports of a strong, white light in the main theatre, the figure of a girl dancing during a recent production of Shout and other strange phenomenons have sparked rumours of the spooky kind. Forget calling Ghostbusters, the Australian Paranormal Phenomenon Investigators (APPI) are here to help people embrace the Powerhouse phantoms. Starting this Saturday, APPI leaders Nicole hume and Peta Banks will host monthly ghost tours, and paranormal investigaiton and seance nights by appointment. Packages of all three are also available on request. Ms Banks grew up in Liverpool and Ms Hume bought her first home in Green Valley. After a chance meeting through another paranormal group, the pair returned to the area. Ms Banks said she always had an interest in investigating spirits. "I think that interest grew when my grandmother died," she said. "I was in the car on the way to her funeral with my sister, who had come over from Germany for the funeral, and her phone started ringing, and on the screen it said "Nana home calling'." looked straight into a mirror in front of me and in it I could see a full body apparition standing behind me," she said.